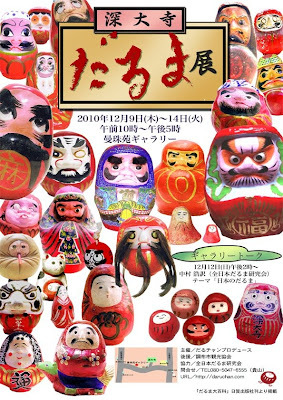 Daruma dolls of the old Soshu Province, now made in Hiratsuka, Odawara, Atsugi and Kamimizo since the Showa period. Satchitaro 幸太郎 was the first to make them. Now the family is in the fourth generation. Since every family had their own wooden forms, all Daruma looked a little different.
. Hiratsuka Hige Daruma ひげ達磨 Daruma with a beard .
. Shrine Hibita Jinja 比々多神社 Daruma . CLICK on poster for more info !